Come and join Amanda Stanley as she teaches Aerial Silks classes at the studio on Fridays from 3:30–5:00 pm! Silks, which are also called Aerial Tissue and Aerial Fabric, can be used for a variety of special moves, climbs and drops. Beginners will learn aerial conditioning, basic climbs and descents, and basic foot locks while learning how to be safe in the silks. Amanda will evaluate all students’ previous experience and current skill level and adjust her teaching accordingly. Amanda has been training in the aerial arts for over 6 years She’s trained with Lucia Aerial Performing Arts in Kansas City where she achieved advanced levels in Silks, Lyra (Aerial Hoop) and Contortion. She is also proficient in Static Trapeze and Spanish Web. Aerial silks classes are limited to 4 students per class, ages 12 and up. Class runs for an hour and a half every Friday and is $50 per month. 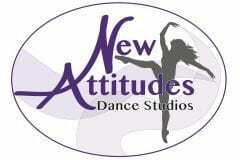 You can contact the studio, or call or email Amanda for more information. (906) 251–0453. ← Introducing Our New Ballroom Program!